Promote, encourage, and deliver meaningful education within all branches of the Armed Services. Establish and maintain communication between the military, college/university educators, state and other government agencies. Provide a forum for the discussion of current issues and planning. Encourage cooperative and coordinated efforts leading to improved functioning of the Council and more efficient and effective educational programming for military personnel. ACME, while a Florida-based organization, has members from Alabama, Georgia, Mississippi, and surrounding states. We welcome educators and officials regardless of location as long as they share our dedication to providing educational opportunities for members our nation's armed forces and their families -- active duty, reserve/guard, or retired. The emphasis at all ACME conferences is on the exchange of ideas and information to better serve the educational pursuits of members of the military community. ALL are welcome at ACME! After a 24-year career in the Air Force in Public Affairs, Willie Woolford began working at Bellevue University in Bellevue, Nebraska in April 2000. Willie has had the opportunity to work in Marketing, Admissions, Strategic Initiatives and finally the Military Programs Department. Willie is currently the Assistant Director in Military Programs working in the Premier Partnerships Division working from a home office in Tampa, FL. He holds an Associate’s Degree in General Studies from Central Texas College, two CCAF degrees – Radio Communication Technology and Public Affairs, a Bachelor’s of Science in Management from Park University and a Masters of Public Administration from the University of Oklahoma. Keith joined American Public University System (APUS) in 2016, and is currently serving on the Military and Community College Outreach team. Keith served 22 years in the Air Force as an Intelligence Specialist, Training Manager, and Professional Military Education Instructor and Commandant. He also was assigned for 5 years as the Superintendent, Campus Relations for the Community College of the Air Force (CCAF). He then served 7 years as an Education Counselor, Education Services Officer, and Division Officer with Civil Service. 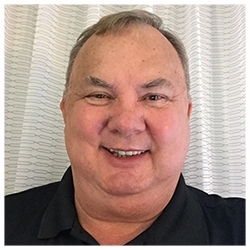 Keith earned 3 AAS degrees from the CCAF, a BA degree in History from Auburn University in Montgomery and his MAED in Curriculum and Instruction from University of Phoenix. He places great value on the importance of educational achievement and has devoted his professional career to assist anyone desiring to pursue and achieve higher education degrees. Keith is married to his wife Silvia and they are both extremely proud of their three sons. Keith enjoys playing golf, college sports, and deep sea fishing.